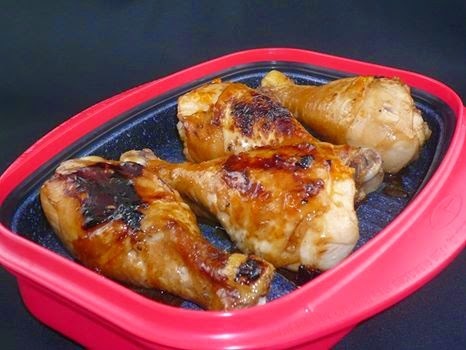 Have I told you all how much I LOVE this Microwave Grill pan? 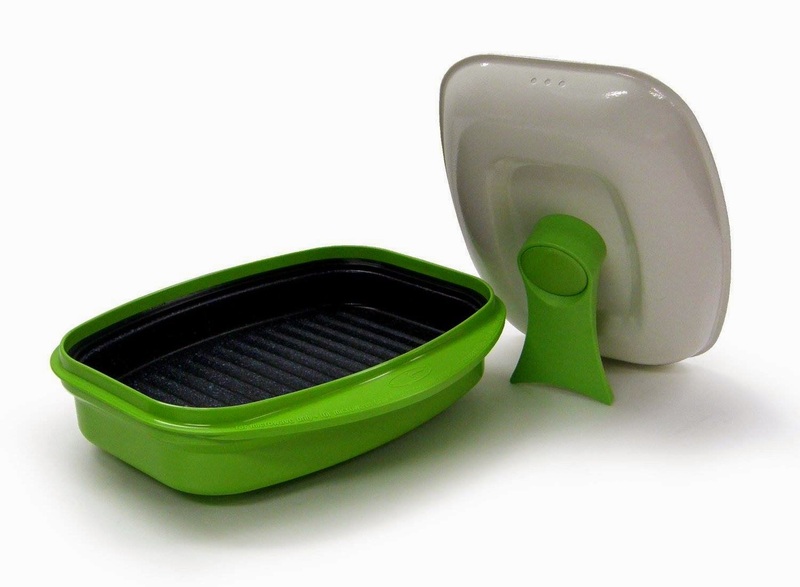 Talk about a gadget that saves you time and still gives you the wonderful look and taste of using the grill! 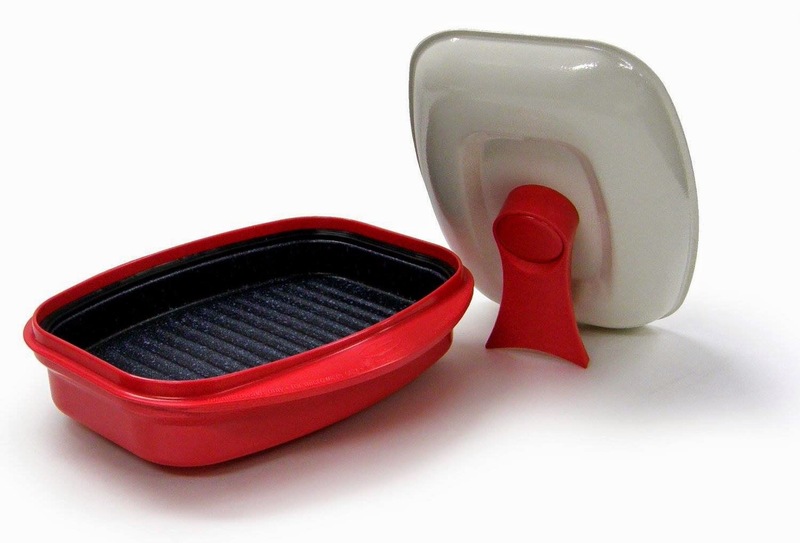 This Microwave Grill pan is a must have kitchen gadget! I got this last winter when it was too cold to grill outside and I just love it! I was skeptical at first. I am not a fan of the microwave other than heating up coffee and warming up left overs. We all know that steaks usually taste horrible reheated in the microwave and they come out grey and tough. But not with this! I put the empty microwave grill pan (with the lid on) in the microwave and heated it for 3 minutes. Then I took it out of the microwave and added a little olive oil and butter to the grill plate on the bottom. Added my rib eye steak and cooked it for about 3 minutes on each side. Took it out of the microwave, and it had grilled and sizzled to absolute perfection. I had the grill marks on the outside, and a perfectly cooked steak on the inside. 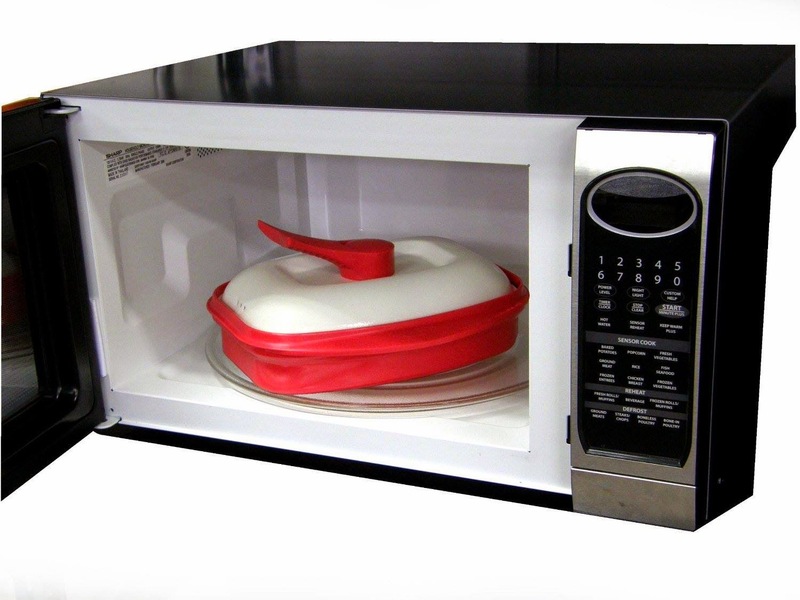 You could never tell it was made in a microwave! I use mine to make a fast grilled cheese sandwiches and paninis too! And if you love grilled veggies this is just perfect for onions, peppers, and all those things that you want to serve on the side with your sausages and hot dogs! Steaks and chops are slightly charred and tender. And if you use it for nothing else, try using it for chicken. Oh my goodness. So moist on the inside and wonderfully crisp on the outside! I can't say enough about it and I think you'll love it too! Comes in green and white and red and the cost is marked down to only $37.82 while they last. Thought I would share my find with you today.....here's the link if you'd like to buy it while it is on a special sale price for Welcome Home fans. Remember, anything you buy through Welcome Home at Amazon, helps me save the lives of dogs and cats who are killed unnecessarily while they wait for their forever homes. The Welcome Home code is already attached to the link so you will get the special price. Once you are at Amazon after clicking on a Welcome Home link, you can go on to shop for other things you might want too. Everything counts and helps me save the fur babies and feed the homeless. Heavy duty grill pan. Really nice quality. I like the removable red silicone sleeve for handle. I like that it's already pre seasoned. All you need to use to wash is a little mild soap and water. Great product!! Vremi makes high quality kitchen products. Will continue to purchase from them….